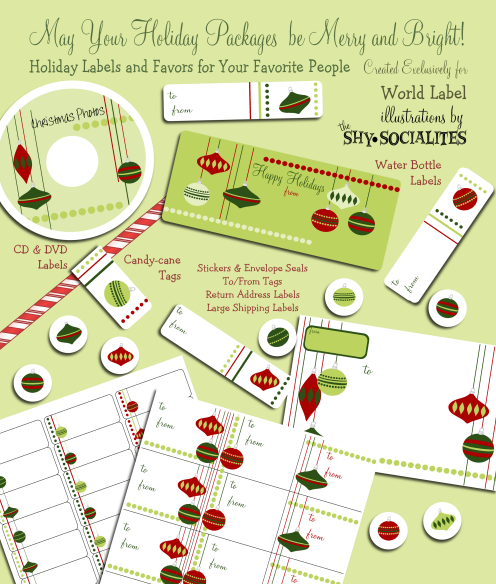 These amazing Holiday label set is designed by Anything But Perfect They are in fillable PDF templates printable on your laser and inkjet printers. 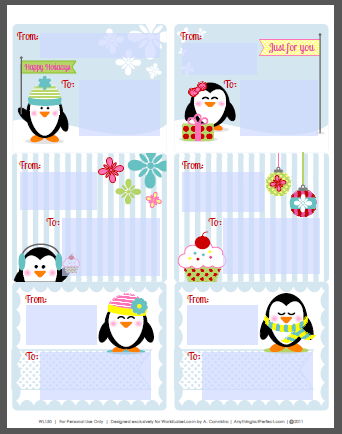 Also in the set is a Gift Planner with auto add feature! 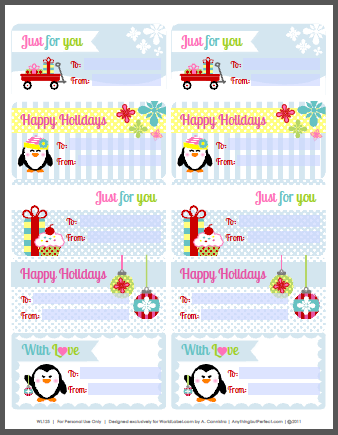 Specs: These holiday labels in PDF are cross-platform and application independent. They will work on Mac OSX, Linux, Windows, Solaris and other operating systems. There can be compatibility issues among different PDF Readers. For optimum performance and full use of all functions, we recommend you download for free Adobe PDF Reader version 9. 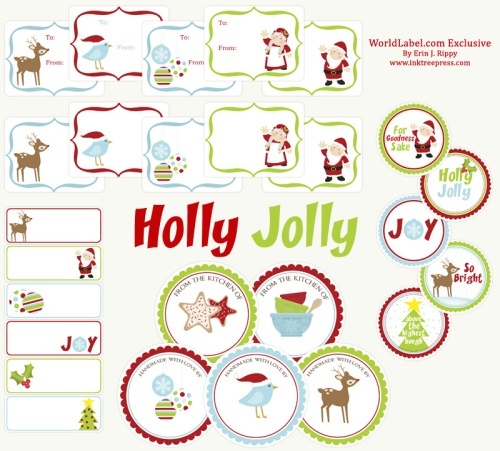 This entry was posted in Label Design, Labels & Printing and tagged christmas label templates, Christmas labels, gift planner, holiday label templates, holiday labels, labels on September 27, 2011 by wlmanager. These are adorable, Thank You for sharing!!! These are so adorable! 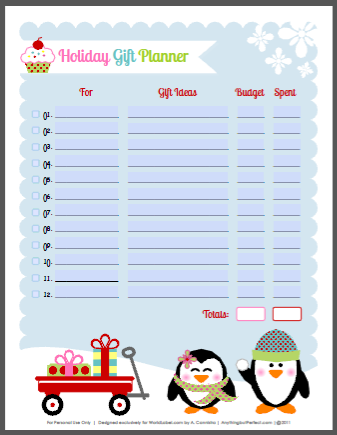 I’ll definitely be using the gift planner for my kids! Thanks for sharing! Thanks! These are so adorable! These are so cute! Did anyone notice that the 5160 labels, when you try to type in the blank field, the text is right-justified? Is that fixable? Thanks! Please use Adobe Reader 8 or above. IF you highlight text and press Control +E, a font properties window opens. On the right of this Font bar is “More”. Click on it and choose Paragraph. Here you can align the text in the center or to left. You can also use “indent” and “spacing” for exact positioning. These are GREAT!! However, my address will not fit by only one character. Is there anyway to expand the field so I can fit my zip code? Thanks! These are so awesome!! Thanks so much1! It would have been better if you included some that said Merry Christmas as well…I mean, if you are going to put Happy Holidays on some, then you should include Merry Christmas on others. Some people are old fashioned like myself and like using things that say Merry Christmas. 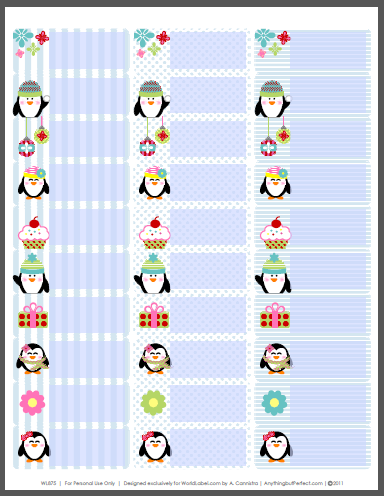 Happy Holidays is just offensive. @Laura We are so sorry you find it offensive. We tell the designers to do what they would like to create. 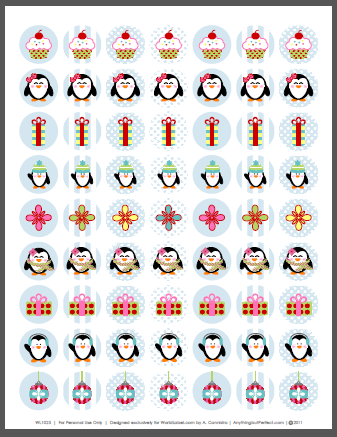 However, we will put in a special request for a few collections saying “Merry Christmas” to be designed. Thank you so much for your feedback. All th best! Thank you so much for sharing these wonderful items!! I LOVE, LOVE, LOVE them and told my friends about your website. 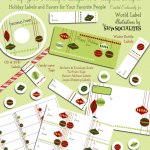 I love all the labels and think each sentiment is just perfect. I hope you offer these freebies forever!!! Thanks again! Several of the downloads keep saying there was an error and to contact creator- when they open they are missing most of the artwork. Anyone else have this issue? @Christina i would suggest, deleting Adobe Reader you have and re-install version 9 or higher. Then right click on link and Save as. 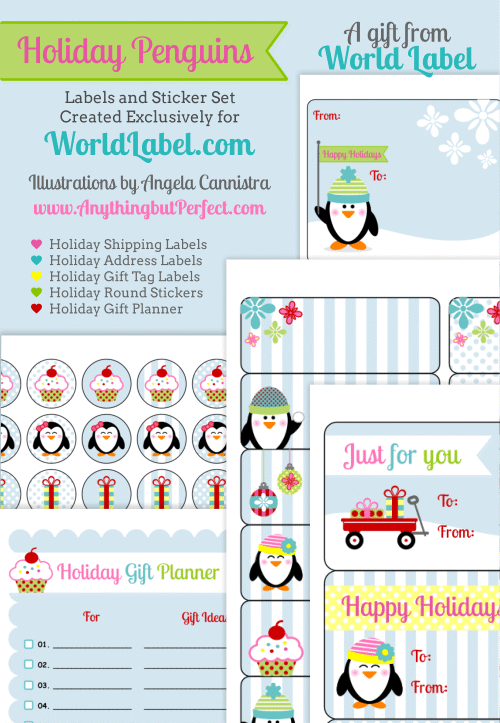 thank you for generously sharing these amazing labels – I just printed them and customized them in about 2 minutes. I will be buying your company labels now!